The Left, Right, Center dice game, also known as LCR, is a simple probability game that is great for young children. In Left, Right, Center, players do not make any choices as to what to do with their chips, they can only do what the dice tell them to do. Left, Right, Center is played with a particular set of three dice and a number of chips equal to the number of players multiplied by 3. Players exchange chips according to the rolls of the dice and the player that ends up with all the chips is declared the winner. Each player is given three chips to start a Left, Right, Center game. The three Left, Right, Center dice are rolled and the player who rolls the most dots goes first. If multiple players roll the same number of dots then those players roll again to determine the first person to play. Play continues clockwise around the table after the first person rolls. The first player rolls all three dice. That player then passes a chip to the left for each "L" that is rolled, passes a chip to the right for each "R" that is rolled, and places a chip in the center pot for each "C" that is rolled. For each dot that is rolled the player gets to keep a chip. 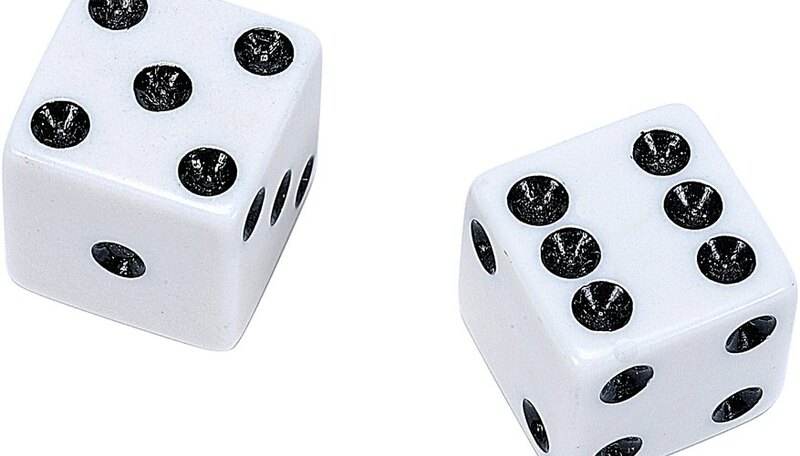 The dice are then passed to the person to the left. The next person to roll rolls a number of dice equal to the number of chips that person has, up to three, and follows the same rules for passing chips. Play continues clockwise around the table with each player rolling up to three dice. If a player has no chips, she is not out of the game but she does not roll any chips--she still may have chips passed to her. The game is completed when all the chips are in the possession of a single player. Chips that are in the center pot are not considered. The player that ends the game with all the chips is the winner.